Click any image to view larger size. 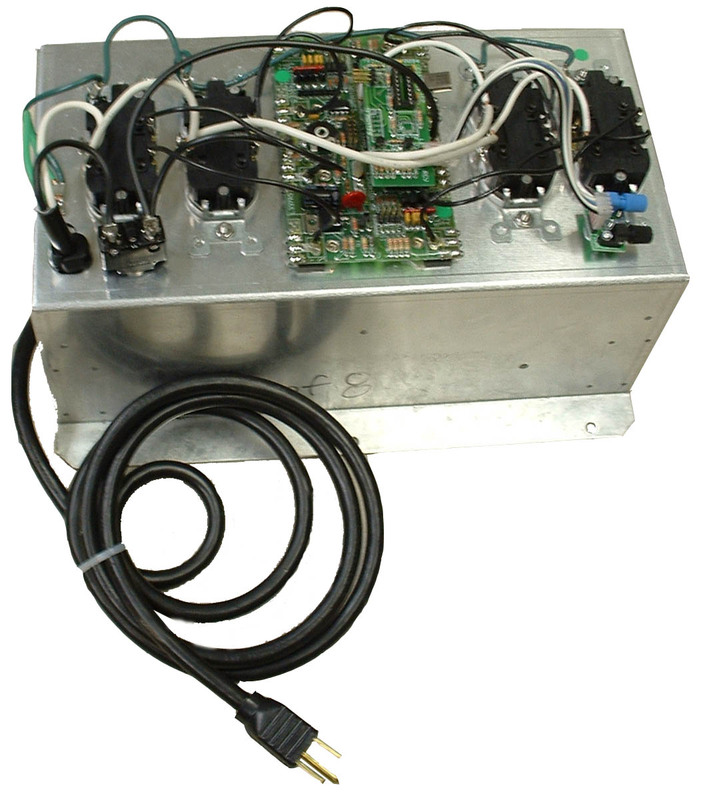 The LS-647 product line features high current capacity, dimming, and fiber optic daisy-chaining capability of multiple units. Mainly designed to animate Christmas lighting, the LS-647 is equally appropriate for any 120V sequenced lighting application. The LS-647 sequencers are built using 4-channel and 8-channel chassis to accommodate applications from 2 to an infinite number of channels. 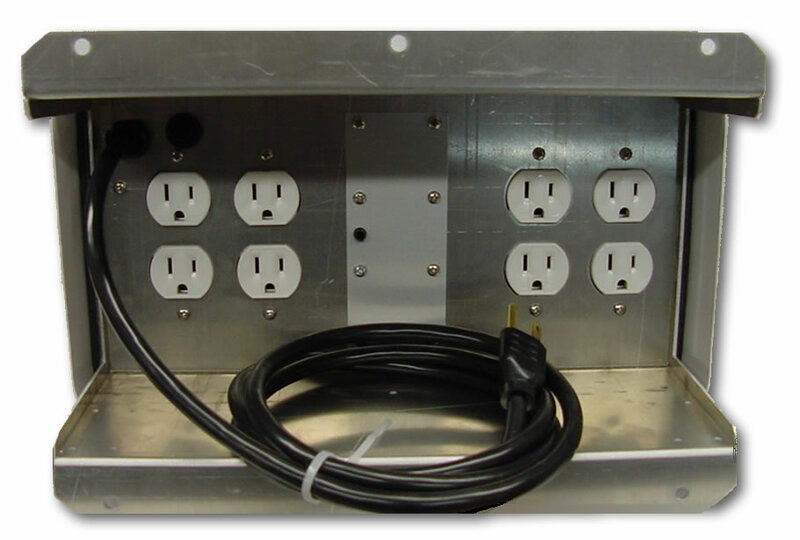 Each chassis can supply up to 15 Amps at 120 VAC. A number of standard patterns come pre-programmed, but the units can be programmed with custom patterns as well. 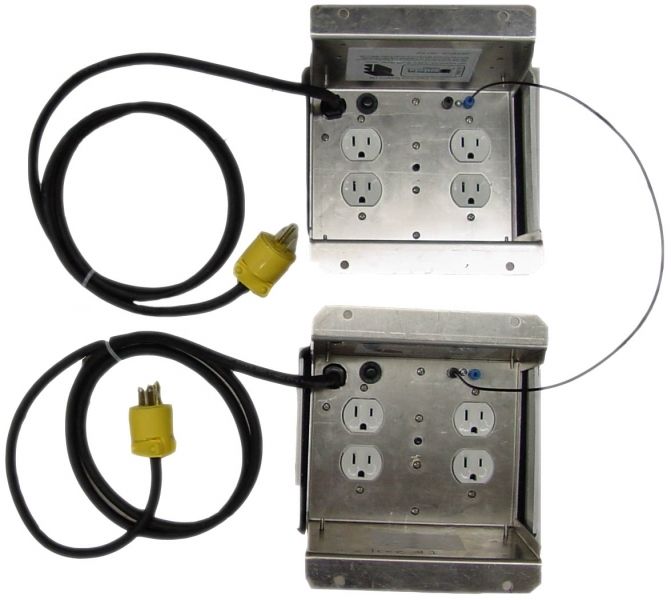 The lights are plugged in with standard duplex grounded receptacles. Since these sequencers operate outdoors in the rain and snow, most of the fasteners are stainless steel. The operating temperature ranges from -40C to +40C.